Professional Canon lenses always have the letter L within their name. For example, the Canon EF 24-70mm f/2.8 L USM lens, is considered professional. The letter L stands for luxury. This is your guarantee that Canon themselves, considers the lens to be one of their best quality glass. The luxury (L) range always takes the sharpest photographs of all Canon lens models. When you look at a lens and notice a red ring, like the one in the image below, then it is considered professional. Are all white Canon lenses considered professional? In 99% of cases, yes. 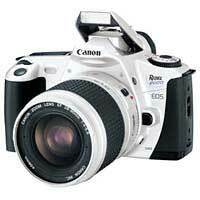 However, Canon has recently developed optional white / silver lenses to match similar colored camera’s. Therefore, it’s still best to check for the letter L within the name and a red ring. 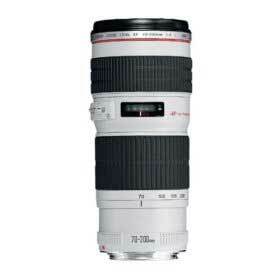 For example, notice the red ring on the Canon EF 70-200mm f/4 L USM telephoto zoom lens below. This is considered a professional lens. Shown below is an example of a lens that was colored white simply for cosmetic reasons. Notice the lens does not have a red ring. Therefore, it is not a professional lens. Do all DSLR lens developers brand their professional range with a red ring? Other manufactures are starting to brand their lenses with red rings, purely for cosmetic reasons. However, this does not mean they are up to the quality of Canon’s professional range.